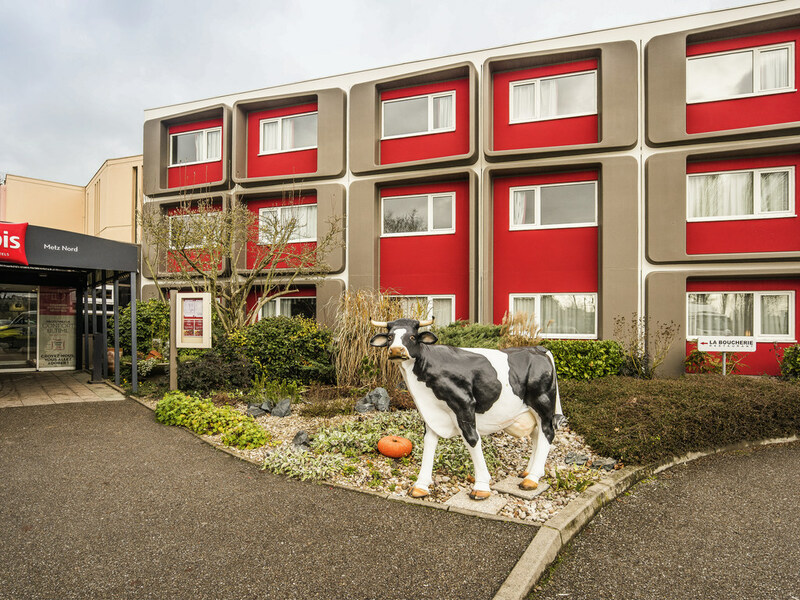 Step into a fully renovated hotel just 5 minutes from the historic center of Metz. We are at the intersection of the A4 and A31 highways (Paris-Luxembourg) and you can take advantage of our free private enclosed outdoor car park. We have large rooms with cozy Sweet Bed by ibis bedding and a new fitness center for our active guests. Tantalize your taste buds in our new La Boucherie restaurant, open 7 days a week. There are a range of family activities less than 20 minutes away. Just 5 minutes from the historic center of Metz, near the Metz Pompidou Center and the gothic cathedral. We are at the intersection of the A4 and A31 highways (Paris-Luxembourg) with a range of activities all less than 20 minutes from the hotel. Step into a fully renovated hotel with cozy Sweet Bed by ibis bedding. Tantalize your taste buds in our new La Boucherie restaurant, open 7 days a week, and take advantage of our fitness center available to all guests. We look forward to welcoming you. Come and discover our fully renovated hotel! Our La Boucherie restaurant awaits. Our latest addition is a fitness center. Near Amenéville Zoo, Walygator theme park and the historical center of Metz. Come and visit soon!